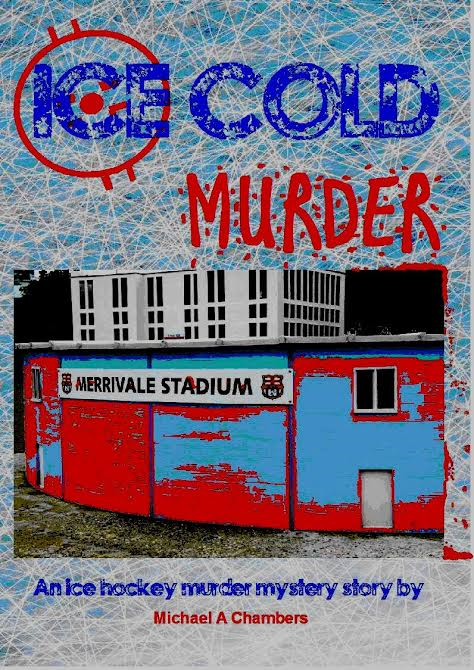 Ice Hockey Review: "Ice Cold Murder" - murder mystery story by Michael Chambers - Pre Order Now! "Ice Cold Murder" - murder mystery story by Michael Chambers - Pre Order Now! Here’s a book that will be of interest to hockey fans and non-hockey fans alike – the reason being that it is not for once a statistics and history publications but a murder mystery story! But there is still some ice hockey content because it is a murder mystery set around an ice hockey match. Needless to say, the story is completely fictitious but the settings and characters are based around the old Nottingham Ice Stadium, players and people who worked there and used to go to Panthers matches. The book has been written by Michael Chambers - who is better known for his statistical histories – but I have had a (very) small hand in helping to put it together so am in a unique position to be able to tell you a bit about it. Basically (without giving away too much of the plot…) somebody gets murdered and there are lots of odd comings and goings and people with secrets to hide and hidden agendas to cover up. We follow Inspector Dilley as he tries to un-weave the mass web of deceptions and intrigue and see if we can guess who the murderer is before he announces it at the end. The book has maps and diagrams to help you understand the layout of the crime scene and there are delightful photos of some of the characters and locations. Even if you are not interested in ice hockey, you will still find it a good read from a crime novel point and if you are familiar with the old Ice Stadium and some of its characters, then you will probably enjoy it from a fun nostalgia perspective as well. 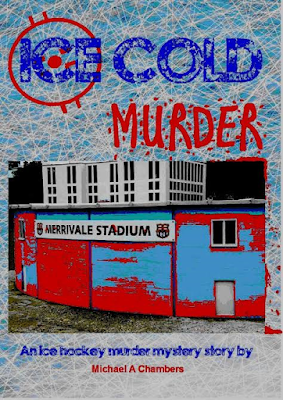 “Ice Cold Murder” by Michael Chambers is due for publication at the end of September and costs £8.75 including standard UK postage. It is a special limited edition so if you want to make sure of reserving your copy, drop Mick a line now HERE and he will sort out payment arrangements.